Do you have a website that just sits there, not making you any money? Do already have a website that makes some money but you're looking to scale it further? Or are you just starting out and want to make sure you get the most out of your website? Difference between a digital billboard and a website. 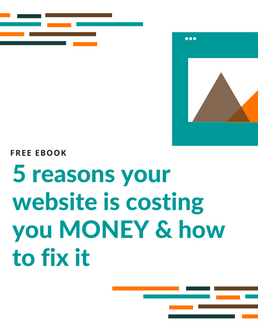 The 5 reasons your website is costing you money. Some elements on your site you should take away TODAY! Your website should be making you money! A well-designed website SHOULD make money and not cost money. This FREE COURSE outlines 5 simple changes you can make to your website design to start making money and stop losing money. We'll send you helpful tidbits on growing your small business online. No spams, we hate them too.